Piper Jaffray revised price objectives for JC Penney (NYSE:JCP)’s stock to $14 from its previous recommended figure of $13. The research firm reiterated the Buy rating for the stock. The major contributing factor to this increase in price objective is the steady inflow of revenue. This is also largely aided by the current weather as well as a range of product ingenuities. These up trends are being enjoyed by the whole retail industry at the moment. While fiscal 2014 came to a close at a rather sad note for some retailers, the current fiscal year has started on quite a positive note and things are expected to take a turn for the better. 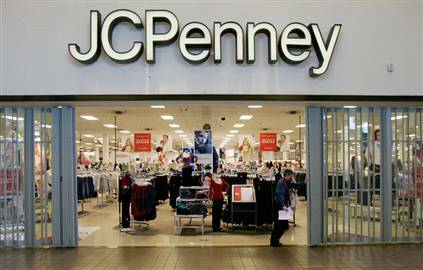 An analyst at Piper Jaffray, Neely Tamminga has posted the assessment after visiting a number of the JC Penney (NYSE:JCP) stores, while comparing it with other companies as well. She has suggested that the sales in retail market have experienced an upsurge, which wasn’t seen in the first quarter of the fiscal 2015. This momentum is also expected to continue in the coming quarters. The analyst has also predicted that April might not prove to be the best month in terms of sales for the retailers because of the ‘Easter Build’ becoming a major contributing factor. ‘Easter Build’ is expected to map over April to March. The launch of Apple (NASDAQ:AAPL) will be a positive note for the retailers and is expected to attract shoppers back to stores. Piper Jaffray is not reiterating the earnings exclusive of tax and EBITDA and maintaining the stance at $1.2 billion. The sell-side firm has reaffirmed that the company will succeed in achieving its estimated earnings, in spite of the sales that were lost in the previous management term. The financial firm has also lessened the loss on each share for the retail company. The new projected figure is $1.52, which is fall from its previous figure of $1.58 for the financial year 2016. Furthermore, loss on each share for the financial year 2017 has also been posted at $0.74 from its previous figure of $0.80. Currently, 27 analysts are covering the stock of JC Penney (NYSE:JCP). Out of these, five have rated it a Buy and eleven feel it wiser to award it a Hold rating. The price target over 12 month period has been agreed at $8.47. This has depicted an upsurge potential of nearly 8.2% over the current $8 stock price in the pre-market trading. While Piper Jaffray is quite positive about the JC Penney outlook for the current fiscal year, it remains to be seen whether the rest of the financial firms are going to follow suite and increase estimates for the retail chain. JC Penney’s (NYSE:JP) stock closed at $8.41 on Wednesday.